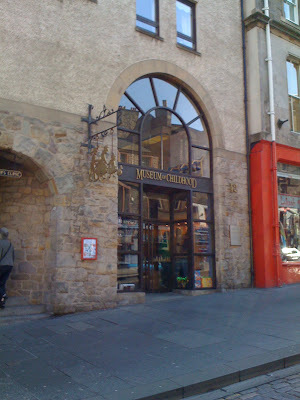 The other week I spent a wonderful few hours going around this museum, it is on the Royal Mile which runs from Edinburgh Castle, to Holyrood Palace (the Queen's official residence, when she is in Scotland). The museum is towards the Palace end and the best thing is that it is free to enter. 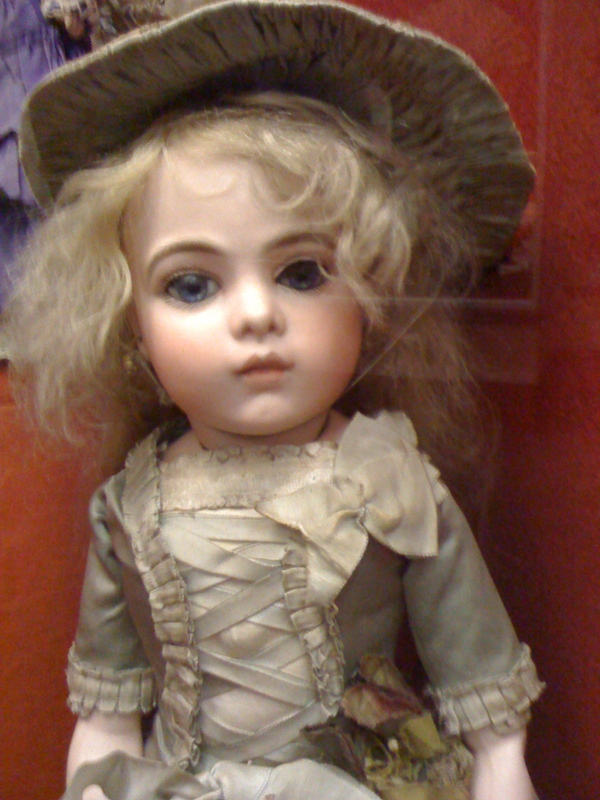 There are a number of floors showing all sorts of dolls, dolls' houses, rocking horses, games, toys and Teddy Bears. Here are a few highlights to tempt you in. I will include a few more over the next few days. This young ladies is one of the stars of the doll room, she is a Bru, she appears to be all original with bisque forearms. I was fairly taken with this cabinet, it had some great characters. I love these three old men in the center, they are British politicians, very topical for the run up the election. 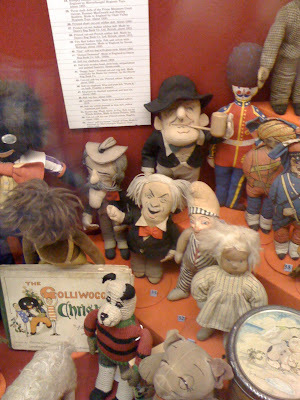 There is Lloyd George and two others, which I need to look up. I didn't make a note of them rather stupidly, if you recognise them, let me know. 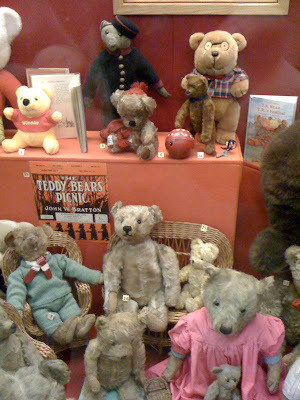 There is a very good selection of Teddy Bears, here are a few including Steiffs, but my favourite in this photograph is the Bing Teddy Bear with a red tinplate clockwork ball, he dates from around 1910 and follows the ball around the room when wound up. Here is the view of the outside of the museum. and 10am until 5pm October until May. Sundays 2pm until 5pm (only during the Edinburgh Festival).